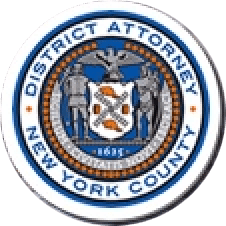 Manhattan District Attorney Cyrus R. Vance, Jr., today announced the guilty pleas of an antiques store and its owners for selling and offering for sale illegal elephant ivory at a total price of more than $4.5 million. IRVING MORANO, 47, SAMUEL MORANO, 49, and METROPOLITAN FINE ARTS & ANTIQUES INC. pleaded guilty in New York State Supreme Court to varying degrees of Illegal Commercialization of Wildlife. As part of their sentence, the defendants forfeited all of the ivory articles that were seized during the investigation, as well as an additional 1,657 ivory carvings, and were collectively ordered to forfeit $2,000 to the New York State Department of Environmental Conservation and make a $200,000 contribution to two wildlife conservation organizations – $100,000 to Wild Tomorrow Fund and $100,000 to World Wildlife Fund – for use in their endangered species protection projects. According to court documents and statements made on the record in court, METROPOLITAN FINE ARTS & ANTIQUES (“MFAA”) is an art and antiques gallery located at 10 West 57th Street in Midtown Manhattan. Owned by brothers IRVING and SAMUEL MORANO, it has sold elephant ivory articles and carvings since at least 2007. Under the New York State Environmental Conservation Law, it is illegal to sell, or offer for sale, elephant ivory unless the seller has been granted a license from the DEC. In 2014, with the support of District Attorney Vance, DEC, WCS, and others, Governor Cuomo enacted new restrictions which effectively banned the sale of ivory articles except in very limited circumstances, and strengthened penalties for sellers. Although the defendants had previously held licenses to sell elephant ivory, these statutory changes made it effectively impossible for the defendants to renew their license, and the defendants did not attempt to renew it. Instead, the defendants continued to sell elephant ivory without a license. On November 30, 2015, undercover officers from DEC purchased an elephant ivory carving from MFAA. A salesperson claimed the item was mammoth ivory, and the officers paid $2,000 directly to IRVING MORANO. After the sale, DEC analyzed the item and identified it as a carving made from elephant ivory and not mammoth ivory. A search warrant executed at MFAA uncovered approximately 126 elephant ivory articles, including two pairs of uncarved elephant tusks – standing approximately seven- and five-feet tall. DEC determined that the smaller pair of tusks were from an African savannah elephant, and that the elephant was a young adult when it died. The retail prices listed for the tusks were $200,000 and $150,000. The tusks will be among the illegal elephant ivory items totaling one-ton that will be destroyed in New York on August 3, 2017. The event, taking place on World Elephant Day at 10:30 a.m. in Central Park, is being organized by WCS and DEC, with support from Tiffany & Co., a member of the U.S. Wildlife Trafficking Alliance, and will feature District Attorney Vance as a guest speaker. Assistant District Attorneys Adam Maltz and Spencer Willig handled the prosecution of the case under the supervision of Assistant District Attorney Michael Ohm, Deputy Chief of the Rackets Bureau; Assistant District Attorney Judy Salwen, Principal Deputy Chief of the Rackets Bureau; Assistant District Attorney Jodie Kane, Chief of the Rackets Bureau; and Executive Assistant District Attorney Michael Sachs, Chief of the Investigation Division. Assistant District Attorney Julieta Lozano, Deputy Chief of the Major Economic Crimes Bureau; Paralegal Jessica Lempit; Rackets Investigator Peter Tran; Supervisory Rackets Investigator Max Adler, Assistant Chief Rackets Investigator Michael Wigdor, and Chief Investigator Walter Alexander also assisted with the investigation. Senior Financial Investigator Amanda Macio of the Forensic Accounting and Financial Investigations (“FAFI”) Bureau also assisted with the investigation, under the supervision of Irene Serrapica, Deputy Chief of FAFI, and Robert Demarest, Chief of FAFI. District Attorney Vance thanked Dr. George Amato and DEC, specifically, Major Scott Florence, Captain Francisco Lopez, Lieutenant Jesse Paluch, Wildlife Biologist II and Unit Leader for the Special Licenses Unit Joseph Therrien, Lieutenant Liza Bobseine, and Investigators Eric Dowling and Jeff Conway. DEC reminds New Yorkers to report any environmental crime by calling DEC’s toll-free, 24-hour police dispatch at 1-844-DEC-ECOS (1-844-332-3267). Under these stricter rules, a license to sell ivory would only be granted when: the ivory is part of an antique that is at least 100 years old and the ivory is less than 20% by volume of that antique; will be used for scientific or educational purposes; is sold as part of a trust or an estate; or is part of a musical instrument manufactured before 1975. Like elephant ivory, the sale of mammoth ivory is illegal under New York law. However, the ban on mammoth ivory was not enforced until June 2016. METROPOLITAN FINE ARTS & ANTIQUES INC.